Who's gonna answer profanity prayers? "Profanity Prayers" can be found on Modern Guilt. A driving rock song, with lots of cool touches--that atmospheric break into some slide guitar into pounding drums sequence is one of my favorites. I really like Beck's creative rhymes here (creature/preacher, casino/libido, etc.). The song seems to be about a man looking for answers, but perhaps in a non-religous way? The first verse places him "in a cast iron cage," "with the laws of a brothel," in a casino, on borrowed dime. He is clearly not in a place of happiness. It is more a place of profanity. Now obviously one usually thinks of "profanity" as vulgarity, and that could be true here, but I reckon Beck is using a different meaning (albeit related). Dictionary.com lists one of the definitions of "profanity" as "not devoted to holy or religious purposes; unconsecrated; secular (opposed to sacred)." That sounds to me like the first verse; a person trapped in a secular, non-sacred spot, and calling out from there. It feels like to me that the search though is given up entirely in the second verse. Maybe nobody answers profanity prayers? The books are tossed, and he can't figure out what to say anymore. He is left simply waiting, watching "for a sign that you're breathing." I've never quite sussed these lyrics out entirely, I'll be honest. But there are some ideas in this that I dig. This is easily one of Beck's more underrated songs. 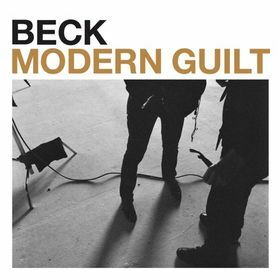 Beck never played "Profanity Prayers" with any regularity on the Modern Guilt tour. In 2008-2009, it showed up 16 times, like 2-3 times every month he went out on the road.